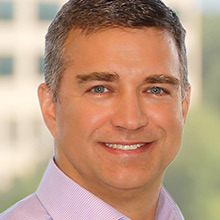 Kevin K. Brown, serves as the SVP and CMO for Sleep Number. He is responsible for building the Sleep Number brand through stories that set the Company apart, communicate the Sleep Number’s innovation, and drive brand advocacy across all customer touchpoints. He oversees the strategy, planning, execution of the overall brand expression, experiences, digital media, customer loyalty programs, and strategic partnerships. Before joining Sleep Number in 2014, Mr. Brown served in leadership roles at Meijer, Inc., Jo-Ann Stores, Inc., and Accenture. Kevin is an active member of his local community, supporting his children’s school, church, and the Minneapolis Children’s Hospital.